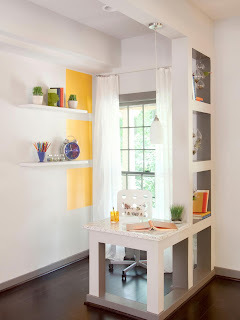 Apartment, condo, or small home it's a breeze to decorate your small space! Don't sweat that you're working with a limited about of square footage, the key is making the most of those precious few square feet! Here are a few things to keep in mind, avoid dark colors/ floors/ accents dark colors just make everything feel smaller. My advice is to stick to pastels, neutrals, and white. Try accenting your small space with DIY projects, art, and photos. However, be wary of using too many accessories that would make your small space feel over cluttered with nothing but stuff. Here are a few examples I found on PINTEREST! One of my favorite accessories used in one of the photos has to be the black and white area rug under the coffee table. Personally, I love the feel of a long, shaggy rug under my feet after a long day of work! 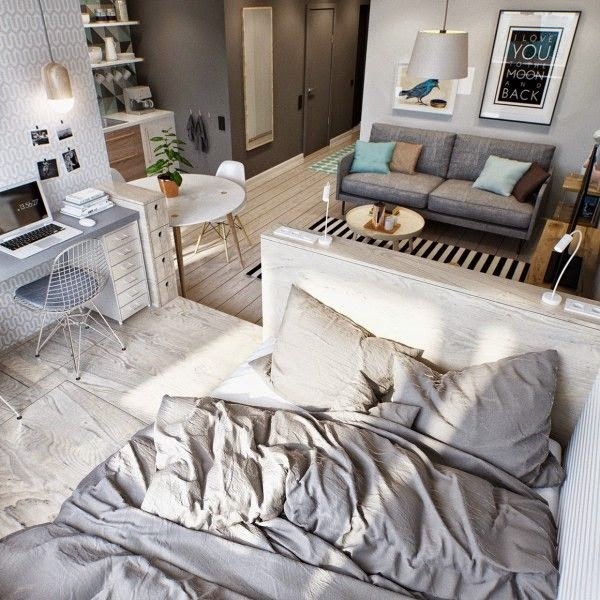 Plus, the black and white accents from the rug and the graphic art on the wall add a cool and modern feel to this room.